WordPress showcases a number of blogs each day on Freshly Pressed, but there is a conspicuous lack of diversity in the bloggers featured. When one examines the bloggers that WordPress staff members elect to feature on Freshly Pressed, those bloggers are overwhelmingly White. One hardly ever finds a Black or other racial and ethnic minority blogger being featured on Freshly Pressed, and this is quite unfortunate, considering numerous minority bloggers using WordPress deserve to be featured. One of the fundamental reasons why many minority bloggers aren’t being featured on Freshly Pressed is WordPress has a staff deficient in diversity, especially when it comes to staff members who curate Freshly Pressed. If one reads Freshly Pressed, he or she may come away with the idea that most of the really good or great bloggers using WordPress are White. This couldn’t be further from the truth. Since I’m penning this piece about the dearth of racial diversity in those featured on Freshly Pressed, WordPress staff members will never select me. If WordPress staff members never elect to feature me, I will be fine with their decision. 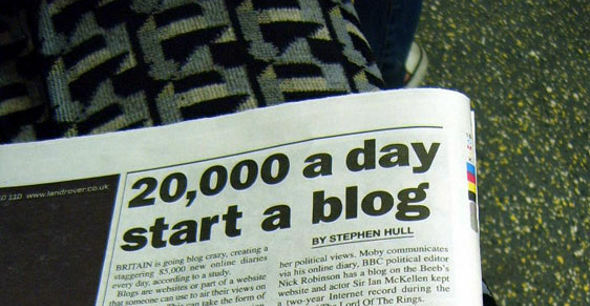 I have a highly successful blog and a large readership. I will survive. Unfortunately, many minority bloggers, especially Black bloggers, using WordPress need to and deserve to be showcased on Freshly Pressed. A number of successful Black bloggers use WordPress and have been nominated and/or won awards for their blogs, but WordPress continues to ignore the success of their blogs. One has to wonder if WordPress really even cares about Black bloggers, their blogs, and the issues that matter to them. Freshly Pressed is becoming increasingly boring to read. While WordPress staff members can assert that there are multifarious topics curated on Freshly Pressed, they cannot point to a significant number of those sundry topics being composed by minority bloggers. As a means of demonstrating that they’re not biased to minority bloggers, I would recommend that WordPress staff members put me on its staff as a Curator. I don’t need or desire to be paid. I certainly have the qualifications to be a successful Curator and have an academic and professional record, which includes being extensively published, that would offer some much needed diversity to the WordPress staff. While I very much love WordPress and posit that it’s the best blogging platform available, the way in which blogs are being curated for Freshly Pressed is unfair and unappealing to many minority bloggers. It’s my hope that WordPress will begin to feature a tremendous number of minority bloggers on Freshly Pressed. Many minority bloggers simply see Freshly Pressed as a boring showcase of blogs.